Tellico Village is one of the best kept secrets in the Southeast United States. 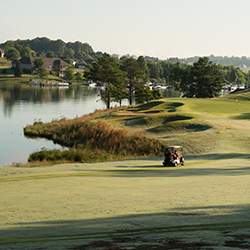 With 3 championship golf courses in Kahite, Toqua and Tanasi that are village properties and a total of 9 Championship courses within a 30 minute drive you are never out of options for a great place to play. Tellico Village is located just 15 minutes from Knoxville and all the entertainment you could ever need while on vacation, yet the peace and quiet in the Tellico Village community is something that does not go unrecognized. This is definitely a golf vacation that you can just play golf and then sit back and relax if you like. Grand Ole Opry, Ryman Auditorium, Broadway and Country music are some of the things you think when the city Nashville, TN comes up. Nashville is known as being an extremely fun city. The smells of Bar-B-Que also floats through the air like the chords that are being strummed, or the drums being played by one of the street performers hoping to get a buck or two from you. While that is all what it is known for, things are changing. 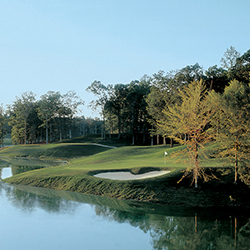 Nashville has become our hottest growing area for golf destination vacations. Kiskiack Golf Club is located in a top 25 golf destination and is a 4 1/2 star rated golf course and is just a small sample of what Williamsburg golf has to offer. 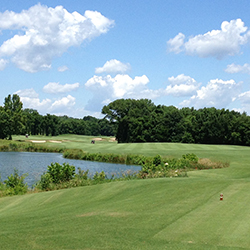 The golf course is a favorite for locals and golf travelers alike. The resort style-country club feel provides a fun, yet challenging experience for golfers of all skill levels. Kiskiack offers 5 sets of tees, that range and up to almost 6800 yards. The front nine allows you to relax as the course flows through natural terrain, rolling hills, and mature hardwoods, along with 2 lakes that come into play throughout the round, before a testing uphill finish. The back will provide more enjoyment, yet plenty of trouble for much of the 9 holes, if you hit the ball to far right off the tee. Starting of the back nine is a par 4 with an elevated tee that dog legs right overlooking water. Setting up the signature par 3 eleventh hole that will require an accurate shot to navigate the beautifully surrounded green by water, to the par 5 eighteenth hole that offers much risk/award. Attention all golf travelers!!! In case you weren�t aware, Lexington, Kentucky is currently becoming one of the most popular golf destinations for many golf groups located in the Northern vicinity of this beautiful area. 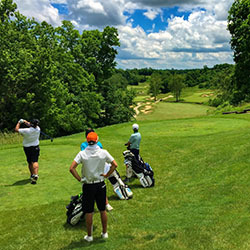 With growing popularity it is wise to plan your trip well in advance, to take advantage of this great Kentucky golf destination. Lexington golf will provide great golf, to go along with a great value. 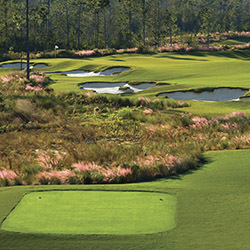 Enjoy great Bent grass golf at over a dozen great area golf courses, to go along with multiple excellent lodging options from hotels to villas.